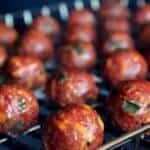 These smoked meatballs are made with lots of cheddar cheese and more jalapeno than you'd normally add to a meatball. As if that's not enough, they are stuffed with cream cheese. I wanted these to be small enough to pop in your mouth so as to get the full effect as you bite down into it. 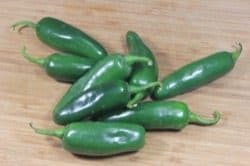 Reminiscent of smoked jalapeno poppers known as ABT's, you will love the flavor that is packed into these babies! 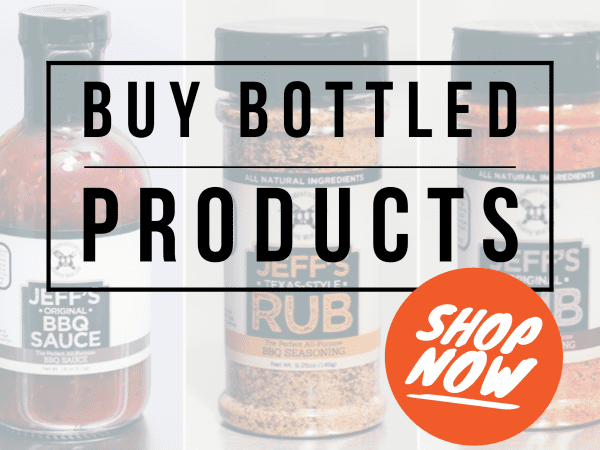 These meatballs are seasoned only with my original rub and after all, what more do you need. 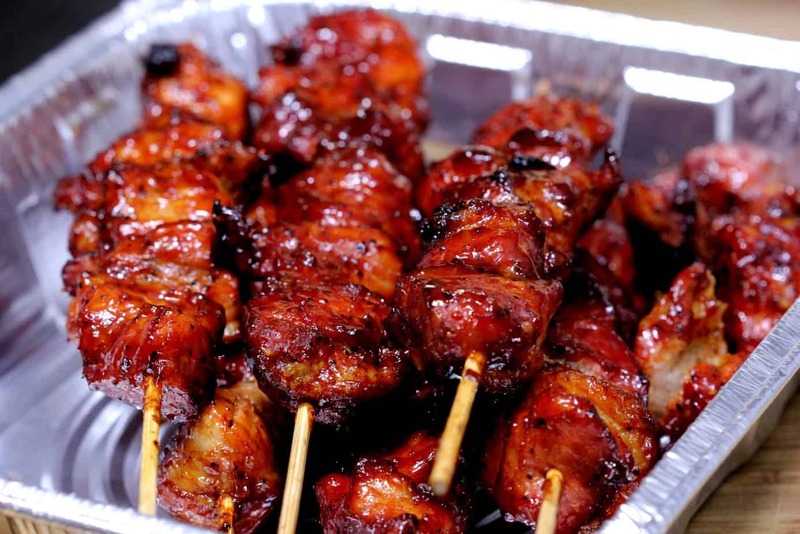 You can also dip or baste these with my delicious barbecue sauce for a perfect pairing if you wish. 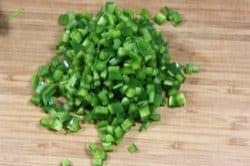 Note: For a spicier meatball, use a hotter pepper and/or leave in some of the seeds. 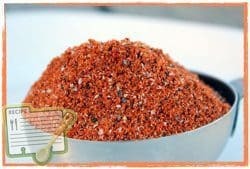 You can also add about a TBS of red pepper flakes to the mixture to crank it up a little. 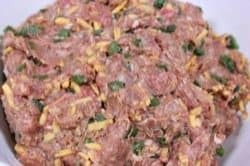 Add the ground beef, ground sausage, jalapenos, Jeff's original rub and cheddar to the bowl. Combine the ingredients with your hands but do not over mix. 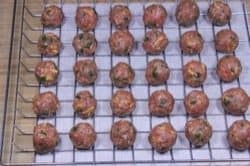 I chose to make the meatballs a little smaller than normal but you can make them any size you like. Mine were about an inch in diameter after stuffing. 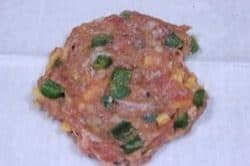 Take enough meat mixture into your hands to make a 1-inch meatball. Roll it between your palms then flatten it out in your hands to stuff. Place a ¼ inch piece of cream cheese into the center of the flattened meatball. Wrap the meatball back around the cream cheese and roll in your palms again to give it a uniform round shape. 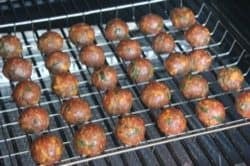 Make all of the meatballs and lay them on a Bradley rack, Weber grill pan or other pan for easy transport to and from the smoker. Using a Bradley rack makes it real easy but you can also just use a cooling rack, or even a cookie sheet if that's all you have available. 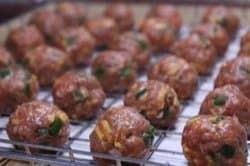 The recipe makes about 30 meatballs depending on what size you make them. Looking good and ready for the smoker! 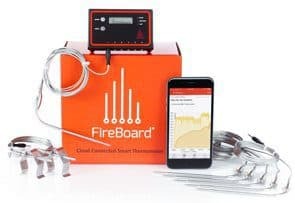 Setup your smoker for cooking at about 225-240°F with indirect heat. 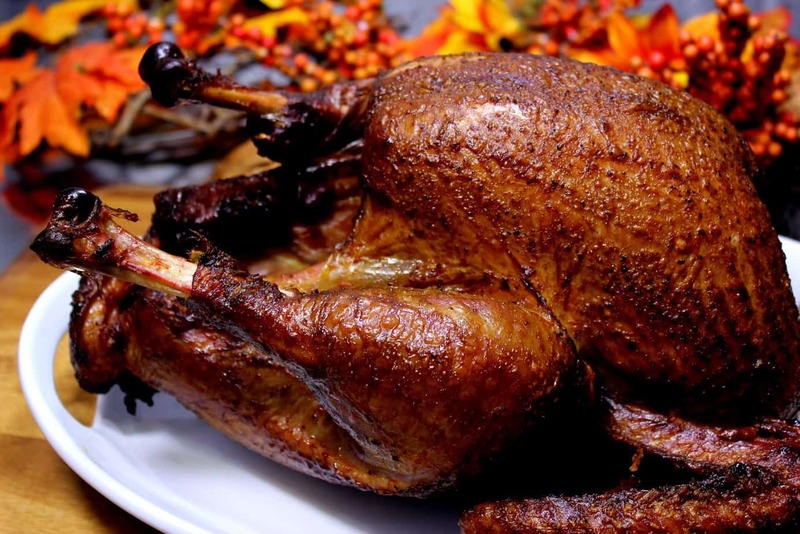 If your smoker has a water pan, it's a good idea to use it. 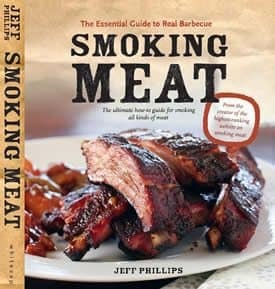 I like to use pecan wood for smoke on these but other smoking woods will work just fine. 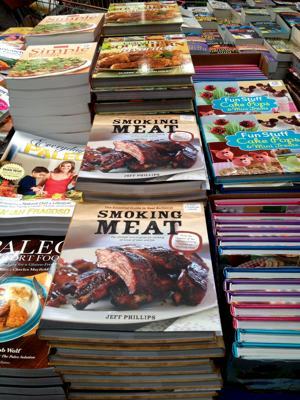 Once your smoker is up to temperature and ready to go, you can continue. 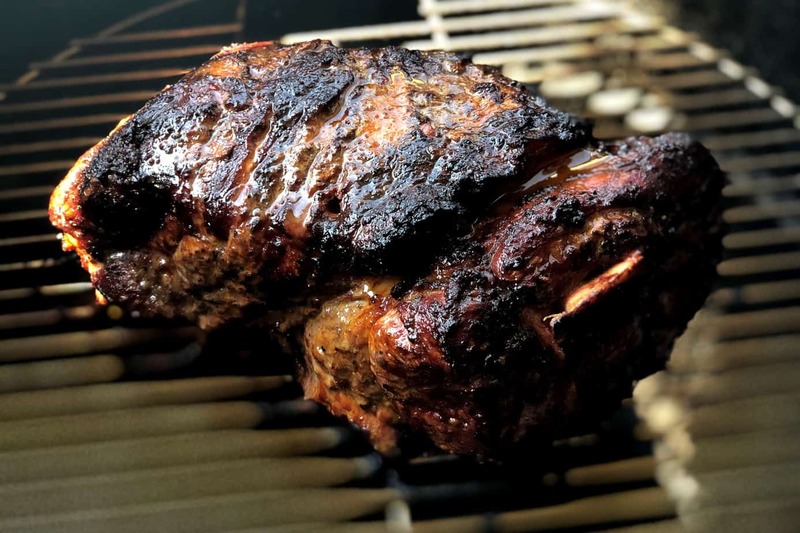 If you are using a bradley rack or Weber grill pan or similar, you can just place the entire pan in the smoker. It is also ok to place the meatballs on the smoker making sure they will not fall through and that there is a little space between them for the heat and smoke. Mine took almost 2 hours but yours may take a slightly different amount of time depending on their size, how cold they are when they go in, outside temperature, etc. I did not baste mine in the smoker but chose to serve them with some of my warm Jeff's original barbecue sauce on the side. 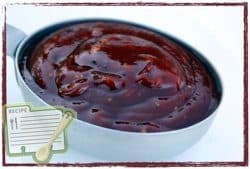 It is perfectly ok to brush some of my barbecue sauce onto them during the last 15-20 minutes if you want to add another layer of flavor. 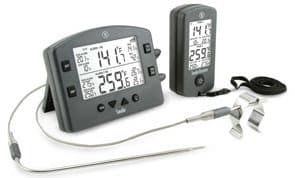 Use a thermapen or other digital meat thermometer to check the temperature and make sure they are perfectly and safely done. 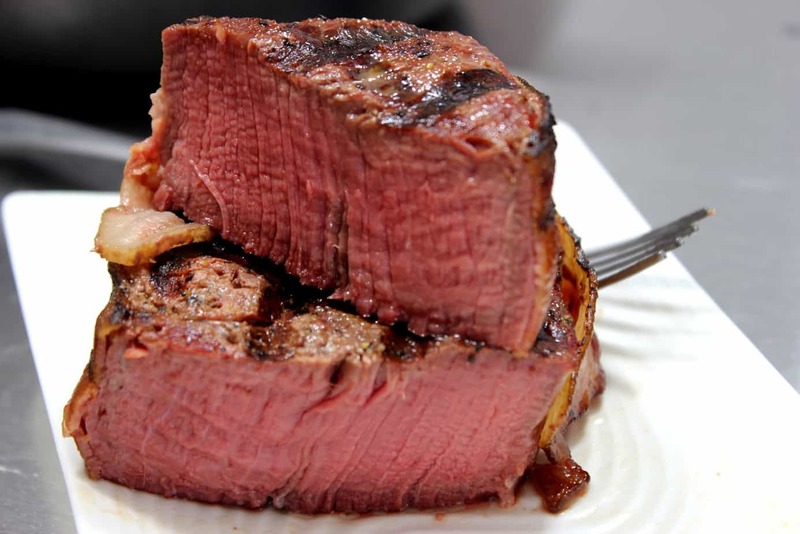 When they reach 160°F in the center, they are perfectly done and ready to eat. 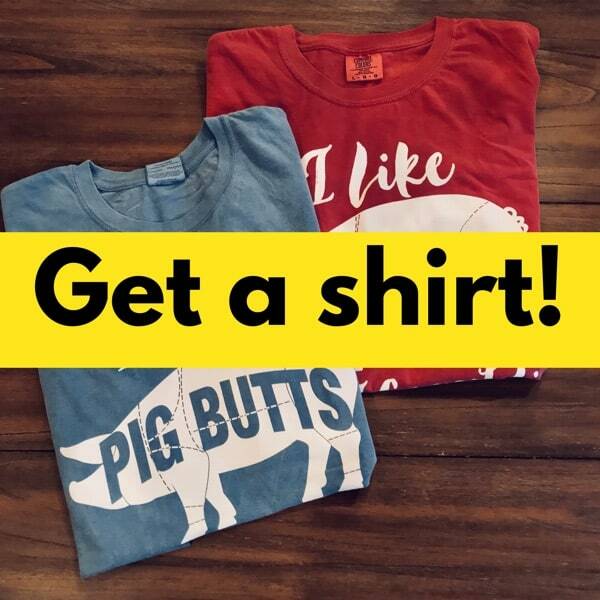 Pop a few as you walk them into the house. 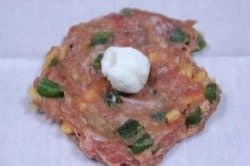 These are amazing appetizers for any party or as a great appetizer while waiting for the main meal to finish. Please note: These can be made a day or two ahead of time and kept in the fridge until you are ready to cook them. I have not tried freezing these, but I suspect they would work just fine as long as you let them thaw a few hours in the fridge before placing them in the smoker. 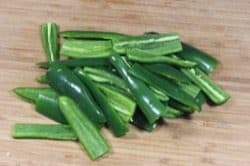 I toyed with the idea of wrapping these in bacon and while I chose to leave these as they were, I think it would be an amazing addition of flavor. 1/3 piece of bacon should do the trick if you keep the meatballs on the small side. If you decide to go off the rails and change things up, fry a little of the sausage mixture in a skillet to test the flavor before making them into meatballs. Add all ingredients to large bowl and combine with your hands but do not over mix. Form meatballs between the palms of your hands. 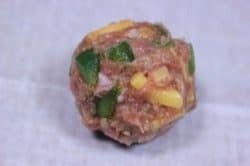 Flatten meatball and place a ¼ inch cube of cream cheese into the center of the meatball. Wrap meat back around cream cheese and roll between your palms again to form into a meatball. 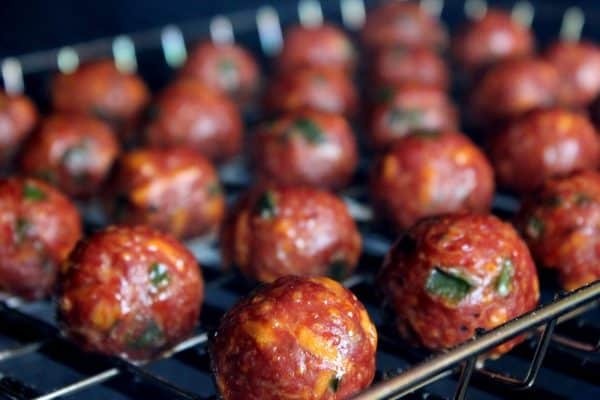 Place stuffed meatballs onto a Bradley rack or other pan for easy transport to the smoker. 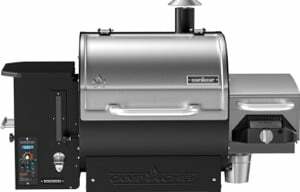 Set up smoker for cooking indirect at about 225-240°F using pecan or other smoking wood. 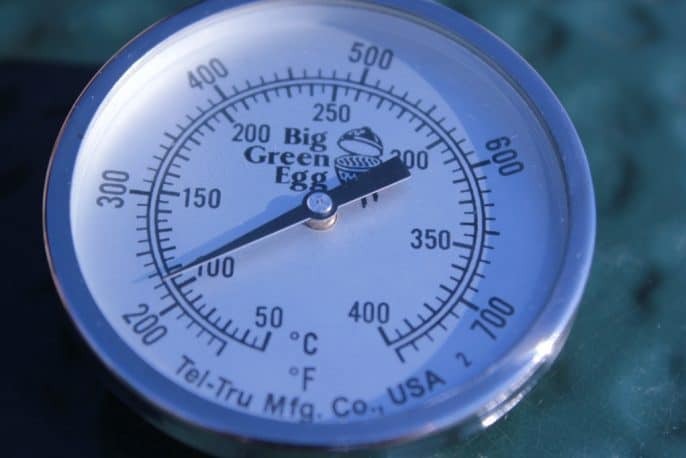 Place meatballs into smoker and cook until they reach an internal temperature of 160°F. Serve meatballs immediately while they are still hot. I’ve made these many times and they are always a huge hit. I usually make 2 lbs at a time, but have done 4 lbs several times. I smoke and put in crock pot to bring to parties and it works excellent. Wondering if anyone has made these and tried holding them for a few hours before serving or reheating? 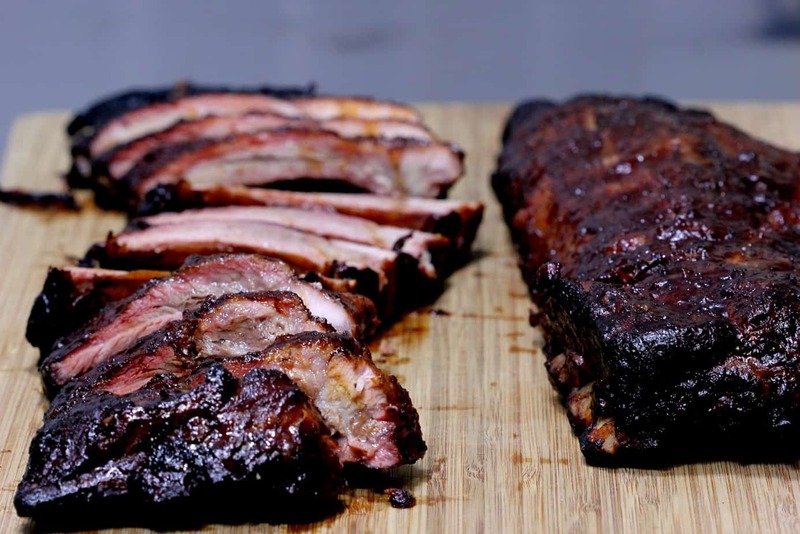 I’ve done these once so far and they are excellent straight from smoker to serving. I don’t want to lose a lot of the flavor though by holding in a crock pot with bbq sauce or reheating them. I made these meatballs for our family reunion this wknd and what a hit they were. !!! I made a total of 8 pounds worth and it wasn’t enough. I made no changes other than half of them didn’t have jalapenos. I made these tonight and the only change in made was to double the recipe.. they were absolutely amazing! !